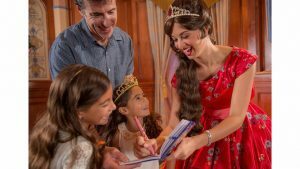 Starting November 24th at the Magic Kingdom you can meet Princess Elena at Princess Fairytale Hall. You can choose to meet Princess Elena with Cinderella or Rapunzel and Princess Tiana. FastPasses are available now to meet Princess Elena!